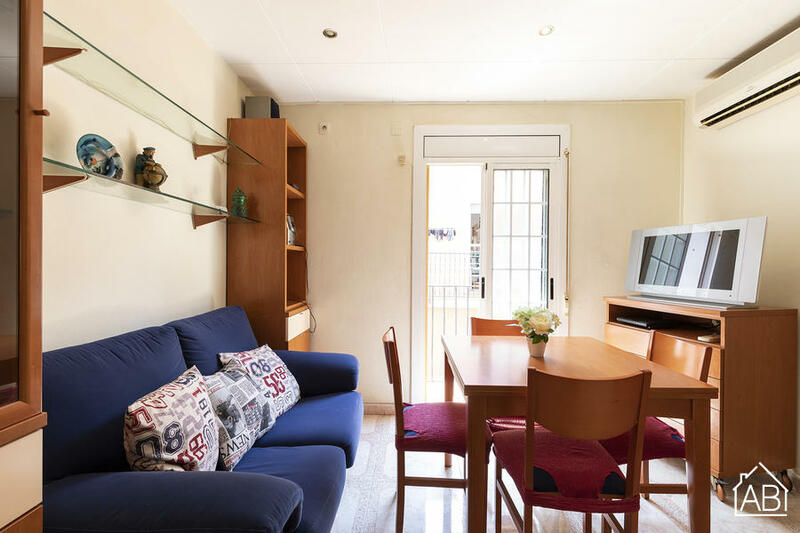 This apartment is located in the Barceloneta neighbourhood, under 2 minutes’ walk from the beach, and offers a balcony and air conditioning. It is also located just a 10-minute walk from Barceloneta metro station. The apartment sleeps up to 3 people across two bedrooms, one with a double bed and one with a single bed. There is a living and dining area with a TV and dining table. The kitchen includes a microwave and a hob cooker. It is located just over 10 minutes from the Gothic Quarter and El Born, two emblematic parts of the Old Town. There are plenty of supermarkets, bars, cafés and restaurants in the surrounding area, making it the perfect choice for a longer stay in Barcelona. Barceloneta is a great choice for those interested in the beach, local culture and city stays.